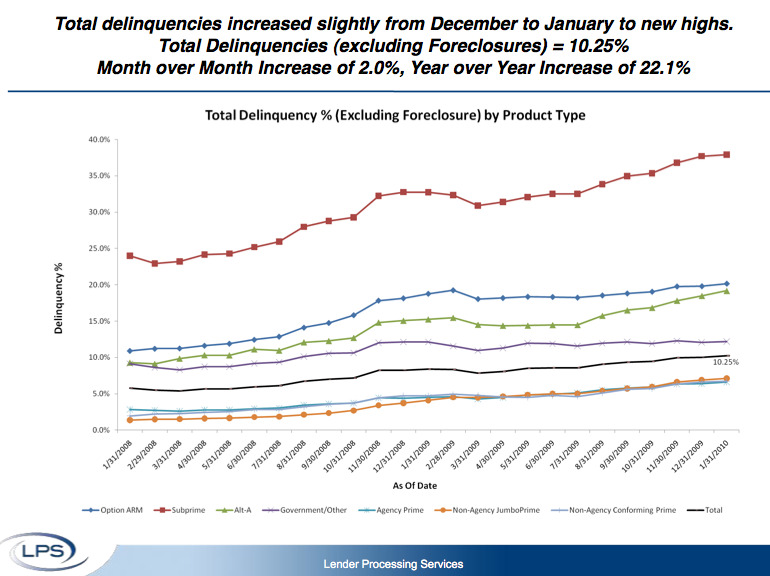 More U.S. mortgages are becoming delinquent than are being fixed, still, according to latest January data from Lender Processing Services. 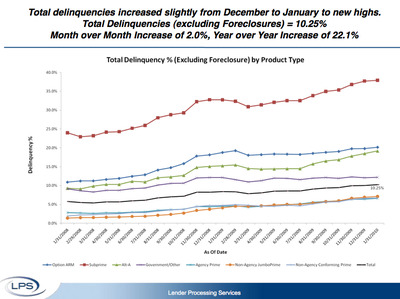 Nearly 7.5 million home loans are either delinquent or in foreclosure and despite the approximately 2 million loan modifications in the U.S. from January 2009 to January 2010, the number of new delinquencies across the period was 25% higher than this. 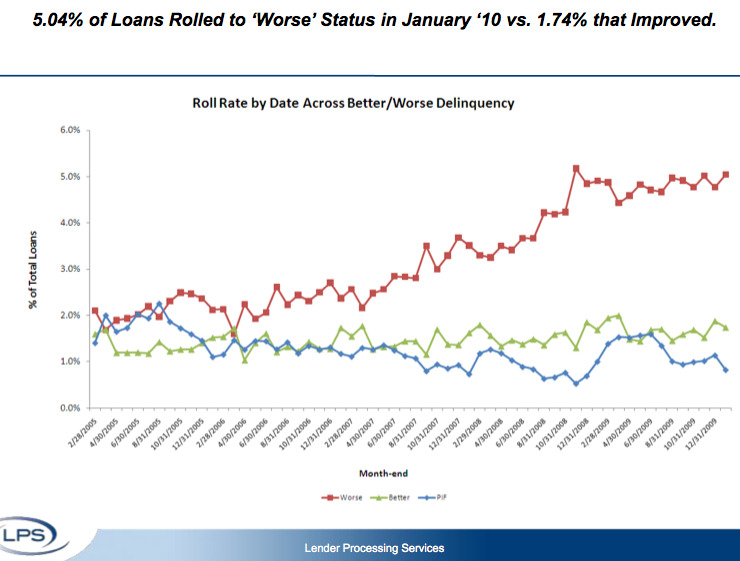 While deterioration is slowing to a degree, the current to 30 day roll rate for January 2010 was still the highest of any prior comparable period with the age of loans going delinquent sitting at almost 4 years (up from slightly over 2 years in 2007). Some might say that this could be the worst it gets, certainly the above chart looks to be peaking. 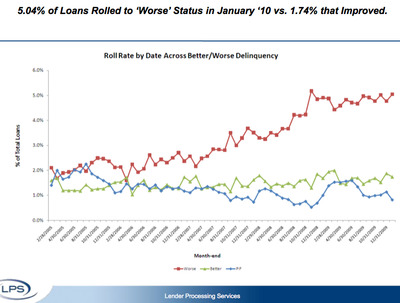 Yet the rate of deterioration looks pretty bad when looked at in detail, as shown below. So it seems hard to be too optimistic here so far.